In a recent post on IPdigIT Paul Belleflamme raised the question of what might be appropriate business models for digital goods in the “culture of free”. This is the first post of a two-piece series in which I will have a closer look at the video game industry. Over the past decade many things have changed in the video game industry. One main aspect is, without a doubt, the move to a digital distribution of video games via platforms such as Steam (Valve Corporation) or Origin (Electronic Arts). With this change came a change in the business strategy of video game developers. Today two business models enjoy an ever greater popularity in the industry: free-to-play and episodic games. In this blog post I focus on the former, i.e., on the concept of free-to-play games. Free-to-play games were born out of the success of massively multiplayer online games (MMOs) and the development on the app market. Successful titles such as Riot Game’s League of Legends or Blizzard Entertainment’s Hearthstone attract a large community of gamers. In 2014 more than 27 million people played League of Legends on a daily basis. Hearthstone, which was released in 2014, gained more than 20 million users in its first six months. In economic terms, free-to-play games are freemium games. Freemium, a combination of free and premium, stands for a business model that is widely adopted in the digital economy (also discussed here on IPdigIT). Applied to the video game industry the concept implies that consumers may download a fully functional game for free. Additional, or premium, content, is available via so-called microtransactions. One can roughly divide these in-game purchases in two categories that depend on whether additional content is purely aesthetic or has a functional component. In the first case, sometimes referred to as pay-to-entertain, premium content is purely decorative and serves as a way for consumers to individualise the game according to their preferences. In the second case, also termed pay-to-progress or pay-to-win, additional content is functional and allows premium consumers to progress faster in the game, for example, by enhancing the performance of their in-game character. It appears that the freemium model is hard to resist, even for established video game developers (see also this article on TechCrunch). In February 2015, Lionhead Studios, a British video game developer owned by Microsoft, made headlines by announcing that the next release of its highly successful Fable series will be free-to-play on Xbox One and Microsoft 10. This change in strategy shows that Microsoft sees the future of the gaming industry, or at least of a significant part of it, in free-to-play. In the following I will have a closer look at why this may be the case. Two main factors drive the success of a freemium strategy: user base and conversion rate. The two concepts respectively refer to the number of (active) gamers and the share of gamers that purchase premium content. Before delving deeper in the two concepts it is instructive to notice that a freemium strategy is essentially a strategy of price discrimination (menu pricing and personalised pricing). First, freemium games are offered via two different pricing plans, free and premium. As a result, even consumers with a very low, or zero, willingness to pay may download and play the video game (i.e., become active consumers). Second, the premium part resembles a strategy of personalised pricing. Consumers purchase premium content up to their reservation price and as such pay a personalised price for the video game. User base. By lowering the price for a basic, but fully functional, version of the video game to zero, developers maximise the user base. This is especially important in the case of video games as their experience good character results in high (non-price) barriers to consumption (consumers are uncertain about their private valuation for a video game prior to playing it). Conversion rate. A certain share of the user base will purchase premium content. Most important, some users will spend more than they would have under a standard pay-to-play business model. By offering personalised prices video game developers hence maximise revenues and are able to give away a basic version of the game for free. Clearly, for free-to-play to be a viable business strategy, developers need to aim for a high enough conversion rate. The latter primarily depends on the scope of the free gaming experience and the value users see in the premium features. Let me illustrate the two concepts further via the example of Lionhead’s Fable Legends. 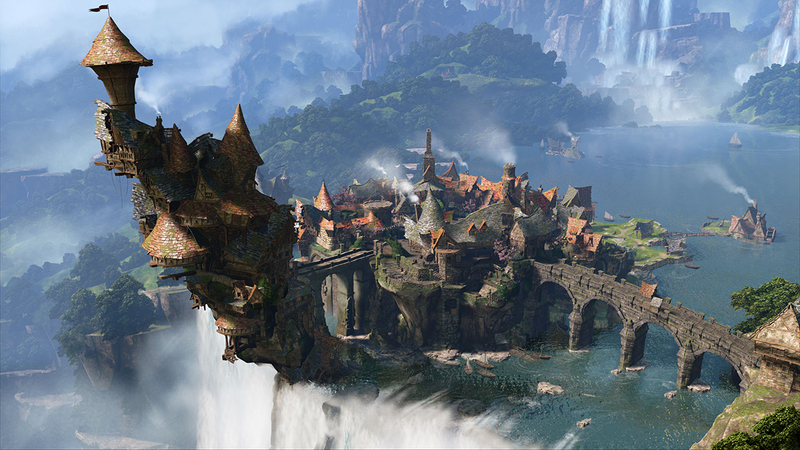 Fable Legends will be supported by microtransactions. During the game, players earn an in-game currency which, additionally, can be purchased with real world money. This in-game currency may then be spend on additional (functional) items. Moreover, in its free version, Fable Legends will have a limited number of in-game characters, or heroes, which, additionally will be rotated on a regular basis. Heroes may be unlocked permanently in exchange for in-game currency. I will come back for a moment to the group of consumers that does not purchase premium content. It is important to see that this group contributes in its own way to the success of a freemium strategy and as such is valuable for video game developers. The reason is that these consumers help to grow user base and conversion rate, either actively, for instance via word-of-mouth recommendations on social networking sites, or passively via network effects. In the case of free-to-play games there are direct (within-side) and indirect (cross-side) network effects. Direct network effects primarily imply that it is more enjoyable to play video games with a large user base (larger gamer community, possibility to play with or against one’s friends, etc.). Notice, however, that consumers may not only have greater incentives to download games with an already large user base, but also to purchase premium content when playing the latter. Gamers may want to become more competitive, by acquiring premium content, the more competitors, i.e., other gamers, they face. Indirect network effects now come into play because a larger user base gives video game developers stronger incentives to develop additional premium content. The prospect of a richer gaming experience, in turn, motivates more consumers to download the game and/or convinces already active users to purchase additional premium content. Fable Legends optimally exploits those network effects. Consumers may play the game either alone or together with their friends. Even more important is the fact that the game is available for Xbox One and Microsoft 10 and features a cross-platform functionality. Meaning, the game not only appeals to a wider audience (Microsoft 10 and Xbox One users) but also intends that users with different consoles play against one another. What is more, Fable Legends builds on the fan-base from the Fable series and as such on a large potential market with an established gamer community. For video game developers the free in freemium is a double-edged sword. On the one hand it allows them to grow their user base rapidly. On the other hand, the same applies for their competitors. For a successful freemium strategy it is thus not enough to motivate a sufficiently large number of consumers to download a video game and to purchase premium content. Instead the success of the business model equally depends on video game developers’ ability to keep their user base, i.e., on a high enough retention rate. This is where the premium in freemium comes into play. The possibility to individualise a game via microtransactions creates a unique gaming experience. Corollaries are a strong attachment and involvement of consumers in their game. That is, the premium content of free-to-play games creates significant switching costs; after having spent several hours, days, weeks or months and potentially a significant amount of money playing and customising a game consumers are less likely to switch to another (competing) title. Free-to-play games are based on the games as a service approach. Among other things, this implies that for most free-to-play titles there exists no finalised version. Instead, the focus is shifted on the post-release development stage. Video game developers therefore have the opportunity to interact with the gamer community and to adapt future (premium) content to its feedback. However, as Will Luton mentions in Free2Play, it might not so much be about what consumers say, but more about what they do. In fact, the digital diffusion of free-to-play titles makes it possible to collect a vast amount of data on how consumers actually play a game, including when and what type of in-game content is purchased. This type of information facilitates the development of premium content that gamers desire and are willing to spend their money on. Notice that this is another way of how a large group of non-premium consumers may contribute to the success of free-to-play games. Although those consumers do not purchase premium content, their gameplay data contains information on how to increase the willingness to pay of premium consumers, for instance, by developing video game content of a higher quality or that matches consumer preferences more closely. The games as a service character of free-to-play titles also provides developers with a way to reduce the durability of their video games. You may wonder why game developers may want to do this. The reason lies in the durable good character of video games which subjects their developers to the Coase conjecture. As I explain here on IPdigIT the Coase conjecture states that a monopoly supplier of a durable good has no monopoly power. Why so? The monopolist faces a commitment problem. Ex-ante he would like to set the monopoly price, while ex-post – once the first units of the durable good are sold – he would like to decrease the price to also capture consumers with a lower willingness to pay. Consumers, however, anticipate this and by postponing their consumption put downward pressure on the price. Assuming that the consumers’ waiting period is short enough, the monopolist is then forced to adopt the same pricing strategy as a competitive firm, i.e., marginal cost pricing. To overcome this commitment problem, one obvious strategy, among many others, is to reduce the durability of the product. I am now wondering whether the future of the video game industry is free-to-play? Is the concept indeed sustainable for large titles that involve significant development costs? And can you think of other factors that determine the success of a freemium strategy in the video game industry (you may want to have a look at this article by Myriam Davidovici-Nora (2014) in the Digiworld Economic Journal)?